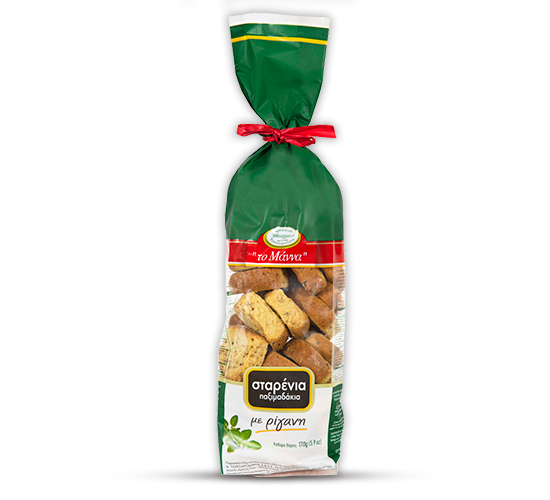 Small wheat rusks with oregano 170gr. A traditional and healthy snack. Its traditional character is due to its way of production and to the pure and certified quality ingredients found on Crete. Cretan graviera cheese, olive oil and natural oregano.